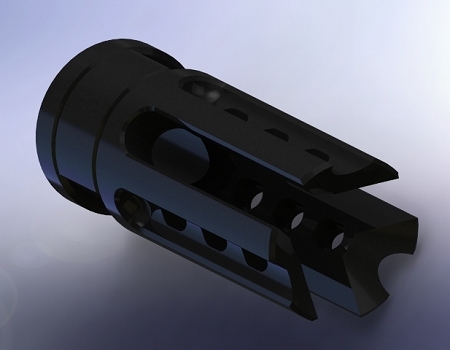 TriTek Flash Suppressors are machined with three prongs to provide an exceptional level of flash suppression. Ports cut through the prongs help to minimize the ringing sound typically found in most 3 and 4 prong suppressors. This product is machined from 4140 steel and treated with a black Melonite QPQ coating for exceptional wear resistance and unmatched environmental protection. The unit installs on firearms with 1/2-28 barrel threads and is shipped with installation instructions and an Armageddon crush washer with matching finish for correct alignment. Copyright Armageddon Tactical LLC. All Rights Reserved. by 3dcart eCommerce Platform.